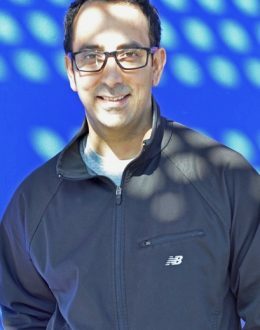 Technology Futurist, Ian Khan is a highly sought after emerging technology expert. A three times TEDx Speaker & Author, he has helped hundreds of organizations understand the impact of technology and the steps they can take to become successful. An advocate of emerging technologies, Ian helps organizations gain a competitive advantage in today’s era of disruption and rapid change. His core speaking topics include technology trends, industry future outlook and the role of IoT, AI & Blockchain in shaping our future. Ian is also the author of over 8 books. Some of these include Cloud Wars, The Internet of Things (IoT) A Concise Introduction, The Internet of Things & the Future of Innovation, Make Me Like You, 21 Steps & Get Ahead and Meaningful Conversations. A highly sought after expert, Ian has dedicated the last 20 years evangelizing technologies such as Cloud Computing, Internet of Things, and emerging tech. Though his career he Ian has worked with Information Technology startups, SAP EBS Partner Companies and key Microsoft partner ecosystem providers. Through his two decades of working in the industry he also gained a complete understanding of where organizations face maximum challenge as his roles included Sales, Business Development, Management, to managing global marketing teams. Ian is also an active speaker and spends more than 200 days per year on the road speaking at industry conferences. He is also a frequent contributor to industry publications and his work has appeared in McGraw Hill Education, Huffington Post, & Techvibes. He is also a founding member of IOTAC (Internet of Things Association of Canada), Canada’s Only Internet of Things Advocacy group and Nonprofit dedicated at providing a platform & advocacy support for IoT initiatives in Canada. Passionate about helping newer generations develop key technology understanding, Ian also works with educational institutions & nonprofit organizations. His recent work includes Chang School (Ryerson University), Schulich School of Business (York University) and others. Ian is also the host of the Innovation Times podcast that interviews Thought leaders, helping shape the future of the world through meaningful conversations.